Once there was a sow that had three little pigs. She was old and could not support the litter, so she told them to go and find their luck. The peasant, who had a good heart, did so, giving him a good amount of straw. The little pig wasted no time and soon his house was ready. And he blew, blew, snorted, snorted, the house went flying. 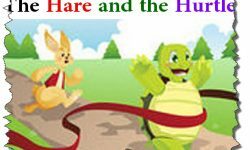 The little pig however, was fast, and rushed into the woods so fast that no matter how hard he tried the wolf could not catch him. The man did so and the little pig built his little house more than quickly. “Little pig, little pig, let me in”. 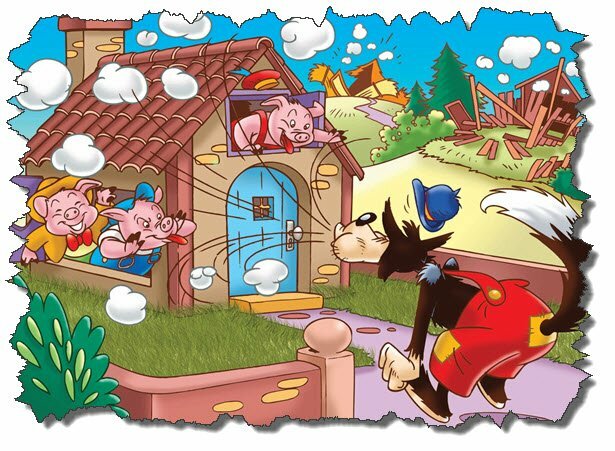 And he breathed, he breathed, he snorted, he snorted, and the house went by the air, but just like his brother this little pig was also agile, or was that agility just the natural instinct for survival? 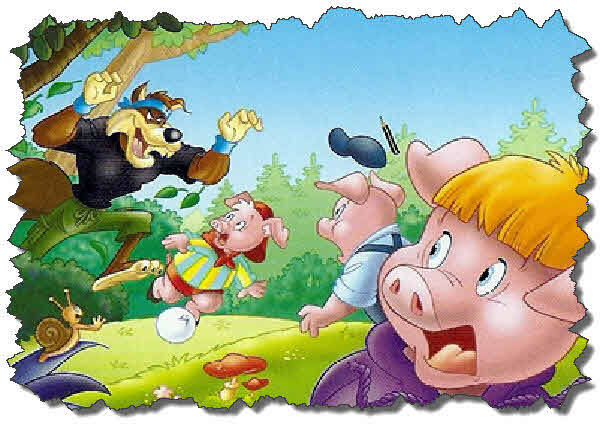 I do not know, what I know is that he ran like crazy into the forest and the wolf once again can not fill his belly with this family’s little piggies! The man had left and willingly gave many bricks to the little pig. Satisfied, the pig was trying to gather all the material he had gained when six brothers burst into tears, crying, traumatized. And the two unhappy ones reported all that had happened to them, the wolf, their houses destroyed, and the wolf’s intention to make them their lunch. “Where is this field?” The little pig asked. The little pig rose at five o’clock in the morning, still dark, told his brothers to be quietly hidden in the house, and went to the field of turnips, arriving before the wolf, which arrived at six. There he took everything he wanted and came running home, where he locked himself up. “Where?” The little pig asked. The next morning the little pig rose at four o’clock, got dressed and went to the lake clearing to harvest the apples, hoping to do the same thing the previous day, but the clearing was further away, and he had to climb the trees to reap the apples. Then, just as he was about to descend from the last tree with a bag full of apples, he saw the wolf approach and became terrified. And now, what to do? “They’re great,” said the little pig, “I’m going to throw you one,” and threw a beautiful apple as far as it will go. 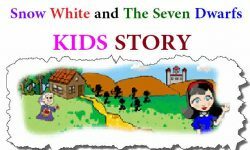 The greedy wolf ran to catch it, and the little pig in turn jumped to the ground and ran as fast as he could to his house, locking all the doors and windows very well. “Liar,” shouted the little pig, “you’re nothing, you did not devour my brothers, they’re here with me!” And the two brothers screamed inside the house so the wolf could hear them. Meanwhile the smart little pig hung a cauldron full of water in the fireplace access with a high fire. The wolf, more and more furious, began to descend the chimney, and was so blinded by hatred that he could not even see the pot. 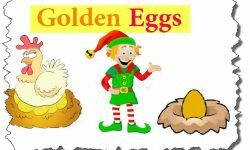 As soon as he touched the boiling water he screamed and jumped so high that he flew through the chimney, falling near the piggies’ house. Just then hunters were passing by, and when they saw that furious wolf they quickly killed him, leaving the three little brothers and all the inhabitants of that place free from the wolf’s attacks forever. the three little pigs fairy tale three little pigs three little pigs story three little pigs and the big bad wolf three little pigs and the wolf the three little pigs fairy tale story Fairy Tale.